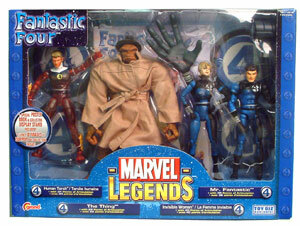 Description Of Item: Get this special box set of Marvel's first family: The Fantastic Four! Not available in stores. Johnny Storm (Human Torch), Sue Richard(Invisible Woman), Reed Richard (Mr. Fantastic), and The Thing in Trench Coat!